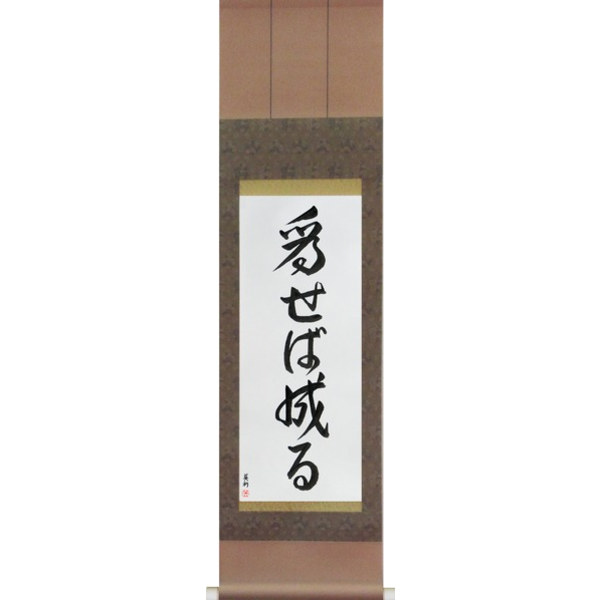 The four-character idiom isshoukenmei meaning “Do One’s Very Best” is composed of the words 一生 (read isshou) meaning “one’s whole life;the greatest of one’s life” and 懸命 (read kenmei) meaning “eargerness; risk one’s life”. 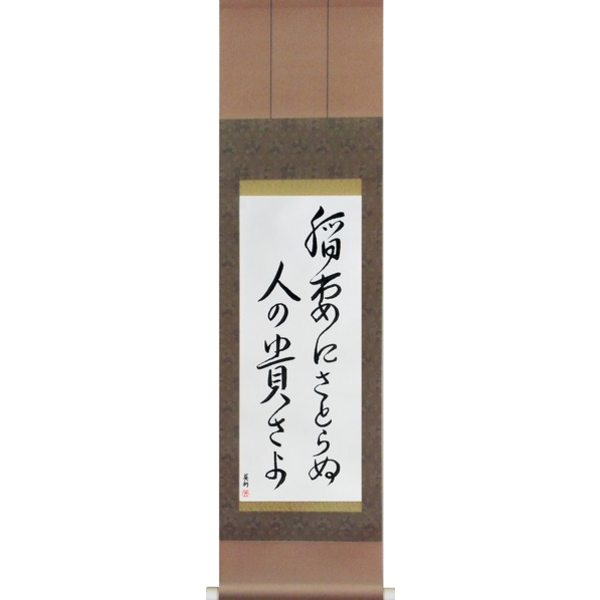 Translations You Can Trust: We want you to be as happy with the Japanese translation as you are with Master Takase’s beautiful art. 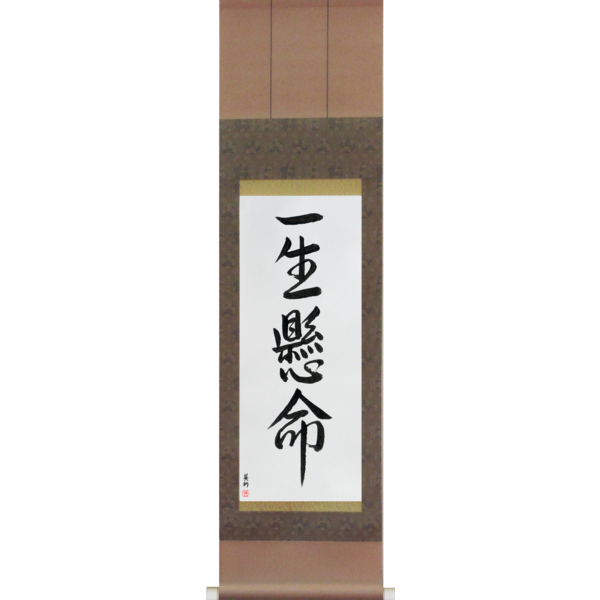 So we have made it easy to confirm the translation for yourself by simply clicking on Do One’s Very Best (isshoukenmei) which links to the independent Jeffrey’s Japanese English Dictionary. 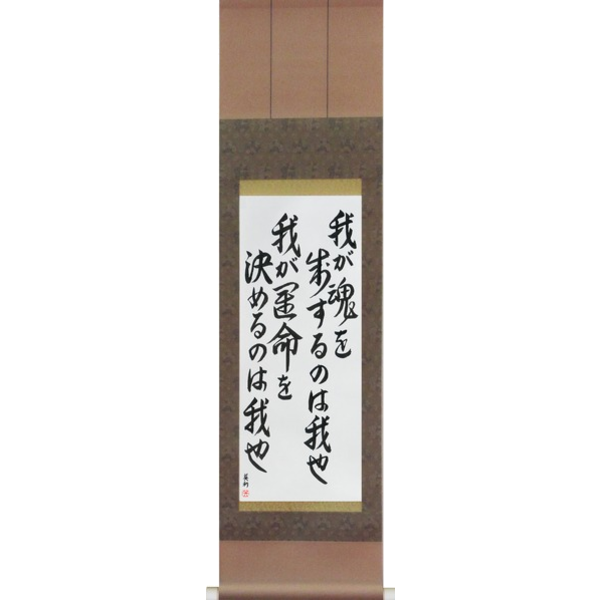 You can also verify the translation using Yahoo’s dictionary entry Do One’s Very Best (isshoukenmei). 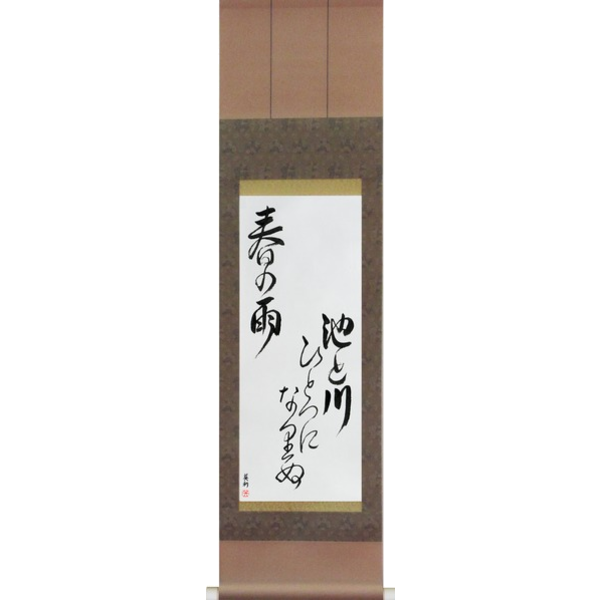 This beautiful calligraphy art of isshoukenmei would be a great addition to any dojo, or any place where maximum effort is expected, as a reminder to always do one’s best.